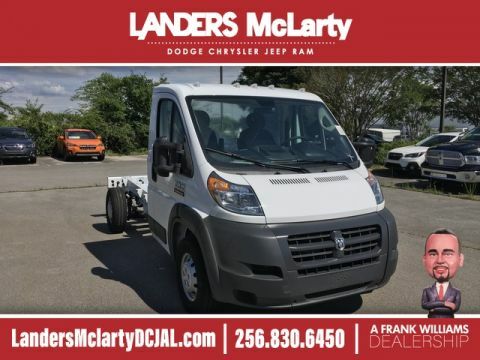 Contact Landers McLarty Huntsville Chrysler today for information on dozens of vehicles like this 2019 Ram ProMaster Cargo Van . This Ram includes: SIDE WALL PANELING UPPER ENGINE: 3.6L V6 24V VVT (STD) V6 Cylinder Engine Gasoline Fuel RADIO: UCONNECT 3 NAV Navigation System AM/FM Stereo Bluetooth Connection PARKSENSE REAR PARK ASSIST SYSTEM Rear Parking Aid SPEED CONTROL Cruise Control DRIVER/PASSENGER 6-WAY ADJUSTABLE LUMBAR SEATS Passenger Adjustable Lumbar Driver Adjustable Lumbar SIRIUSXM SATELLITE RADIO Satellite Radio MOPAR TRAILER TOW GROUP Tow Hitch AUXILIARY SWITCHES INTERIOR CONVENIENCE GROUP POWER FOLDING/HEATED MIRRORS Integrated Turn Signal Mirrors Power Mirror(s) Heated Mirrors Power Folding Mirrors TRANSMISSION: 6-SPEED AUTOMATIC 62TE (STD) Transmission w/Dual Shift Mode A/T 6-Speed A/T BRIGHT WHITE CLEARCOAT QUICK ORDER PACKAGE 21A MOPAR CARGO AREA LED LIGHTING (DISC) *Note - For third party subscriptions or services, please contact the dealer for more information. * Just what you've been looking for. With quality in mind, this vehicle is the perfect addition to take home. 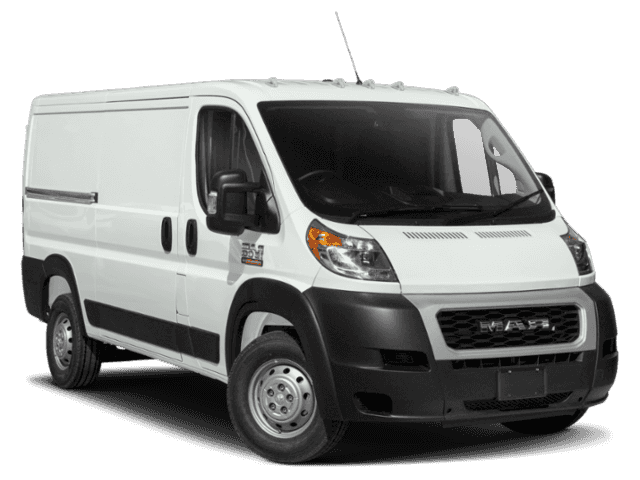 The look is unmistakably Ram, the smooth contours and cutting-edge technology of this Ram ProMaster Cargo Van will definitely turn heads. You can finally stop searching... You've found the one you've been looking for. This Vehicle Does Not Include Tax,Title, And $699 Doc Fee.